Amanda Dixon's social media firm is heralding in a new chapter after swapping working at coffee shops and her kitchen table for her own office. Social media expert Amanda Dixon has swapped working at coffee shops and her kitchen table for one of our units and she hasn’t looked back since. Amanda launched her start-up business I Am You Limited three years ago when she realised many businesses needed help to use social media sites like Facebook, Twitter and LinkedIn more effectively. She now employs two members of staff and on November 1 the company moved into an office at our Team Valley Business Centre, in Gateshead. 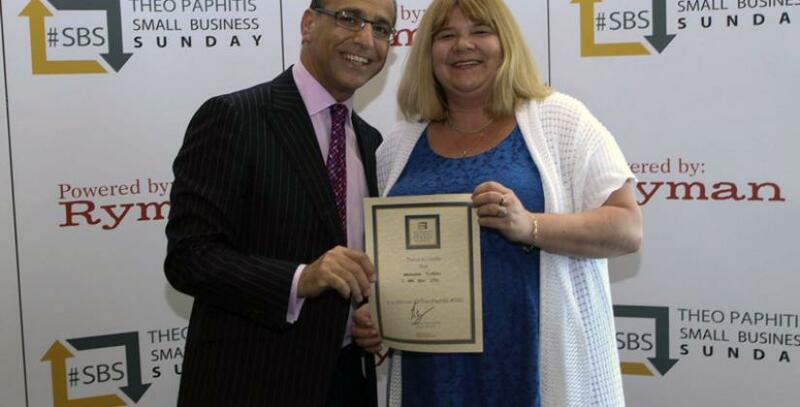 Since the company started in 2010, it has gone from strength to strength, winning accolades including the Theo Paphitis #SBS Small Business Sunday award. And Amanda has given advice to around 1,500 businesses with masterclasses, workshops and talks, as well as working with clients directly. She says the business suddenly took off in the last year and due to the business growth she employed a PA to help her with administration. Now she has just taken on another employee to help manage Twitter accounts for I Am You’s clients. Amanda says: “Before moving in to Team Valley, I was home-based, flitting around coffee shops and hotels – anywhere that had wifi. I was also renting lots of training rooms in various locations. Now I can do everything on one site and because I am office-based, people can now come to me, which gives me extra time to work as I am spending less time travelling. It’s so much more effective. Amanda is also expanding her the training side of her business and has just been taken on to teach level 3 apprenticeships in social media for Resources North East in Sunderland. She will start teaching her first courses in January. Amanda first came up with the idea for I Am You when she was running another business called Concierge Directory, selling online advertising. Amanda chose Team Valley for I Am You’s first commercial premises because it is near her home and is easy for people to get to as it is so close to the A1.